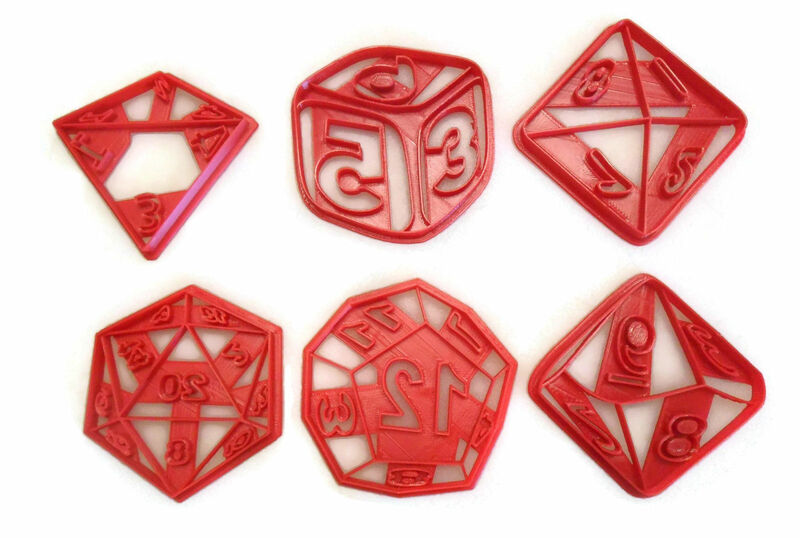 You'll be the talk of the party when you show up with cookies in the shape of RPG gaming dice that you made with this set of Polyhedral dice cookie cutters. This set includes the following dice in cookie cutter form: D4, D6, D8, D10, D12 and D20. These cookie cutters are made using food safe plastic. These cutters can also be used on fondant, play doh or soft clay.